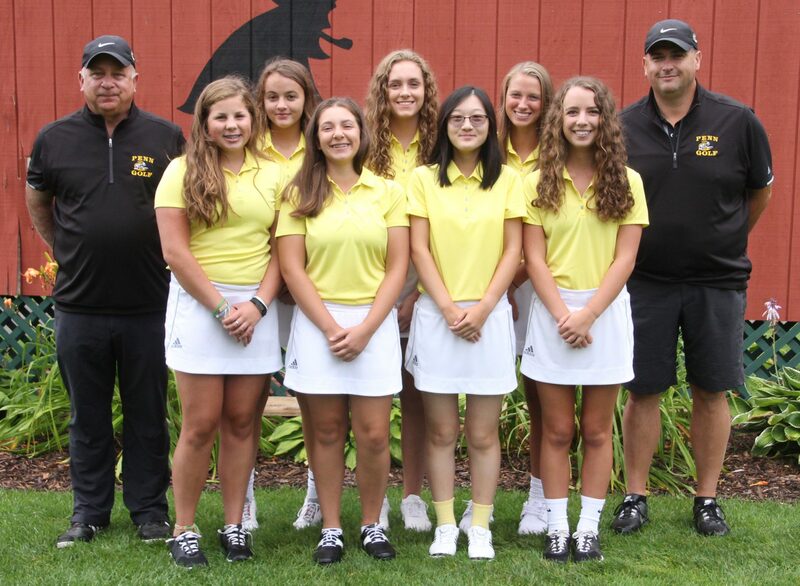 Penn High’s Girls Golf Team finished the 2017 Northern Indiana Conference regular season with a 12-0 record as the Kingsmen defeated South Bend St. Joseph and Marian on Tuesday, Sept. 5. Penn won the match with a score of 182. St. Joe placed second with a 204, and Marian placed third at 217. Penn (182): Lyvia Li 41, Grace Szklarek 48, Abbey Hamilton 46, Ryen DeToro 47, Kate Burnett 63. St. Joe (204): Allison Coyne 47, Claire Kloska 49, Lexi Kilcoin 55, Rosa Veldman 53, Katie Kloska 56. Marian (217): Rosa Trippel 49, Carly Turak 60, Emily Laviolette 61, Sophie Brennan 59, Arianna Kujawski 49.